New records released by the city show water district officials miscalculated how much water could be safely released over Anderson Dam without flooding San Jose neighborhoods. Senior Investigative Reporter Stephen Stock reports. 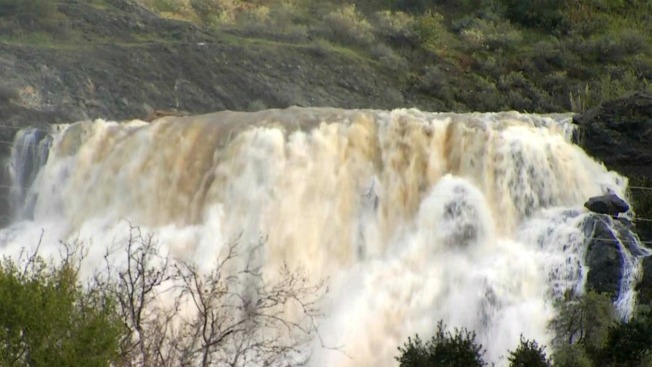 NBC Bay Area has obtained San Jose city records that show the Santa Clara Valley Water District miscalculated how much water could be safely released from the Anderson Reservoir, which led to the biggest floods in San Jose in 20 years. Mayor Sam Liccardo questioned the water district on Tuesday when the flooding began. E-mail exchanges between Liccardo's office and officials from the Santa Clara Valley Water District show water district officials badly over-estimated how much water they could release through Anderson Dam without flooding the neighborhoods downstream. Senior Investigative Reporter Stephen Stock provides more in the video above.